Thank You for Friday & Everything Else | The Happy Wonderer ~ ellen b. Last weekend Dear and I were visiting our eastern Washington kids. On Saturday while the guys worked hard on a home project, Jamie and I attended a Paint Party. The party was put on by Raggedy Rose Vintage Designs ~ Make and Take Sign Parties. They have a Facebook Page. First we got to pick our wood board in whatever finish we liked. We got to choose the stencil with a saying we wanted to add to our board. The equipment was all provided along with great spaces to create. So many paint colors to choose from. The hostesses went around helping us and giving us tips. After we painted the lettering and symbols we let the paint dry somewhat and then we peeled off the stencil and got to see our final results. When things were good and dry they screwed in a hanging wire for us. There was a little glare on the photo of this one which is our daughter in laws. Mine is the one at the top of this post that says thankful & Grateful. Here are the gals with their new creations ready to take home. For a non-crafty person like myself this was not as scary as I thought it would be. Everything was so well organized and things explained well. It was a lot of fun. We got home in time to relax before we enjoyed dinner with the guys. On Monday we got to enjoy a wonderful double rainbow just out of our kid’s door. 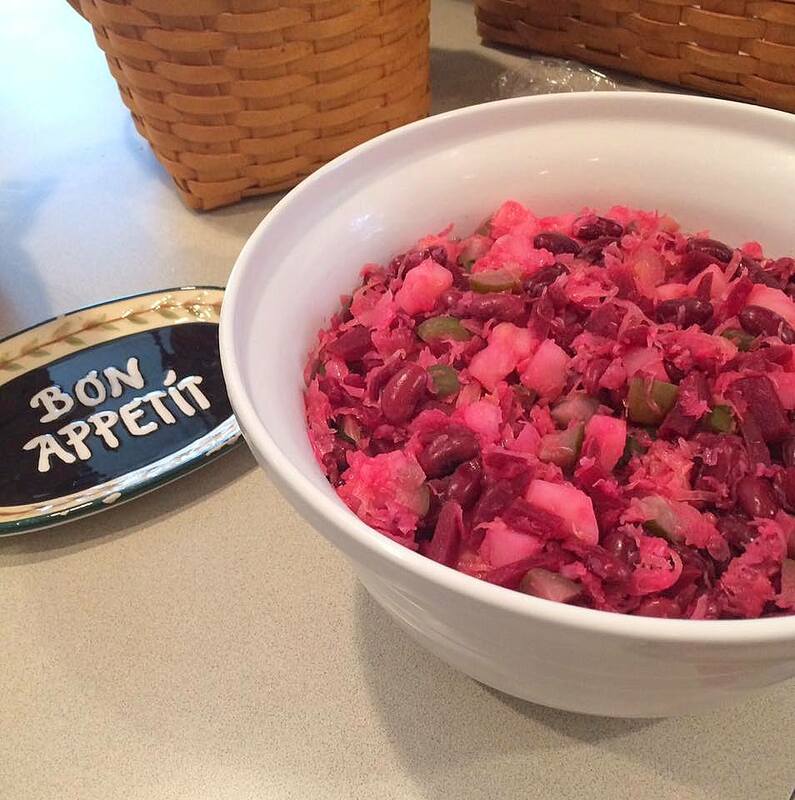 I posted this Russian Beet salad, Vinegrette, that was a family favorite growing up on Monday. You can find the recipe at Mennonite Girls can Cook by clicking here. On Tuesday we drove the five and a half hours back to our home in Western Washington. I’m thankful and grateful for God’s goodness and love towards us. For our visit with our kids in Eastern Washington. For enjoying creative endeavors. For Dear and Dan being able to complete a house project together. For God’s provision for our son in giving him a good helper in Jamie, (Genesis 2:18 (ESV) Then the Lord God said, “It is not good that the man should be alone; I will make him a helper fit for him.”) For the rainbow and God’s promise to us. And on a lighter note…good food! Posted on October 20, 2016 by Ellen •	This entry was posted in Fave Five on Friday, Five on Friday, Signs, Travel, Washington State and tagged Double Rainbow, Foodie Friday and Everything Else, Friday's Fave Five, Mennonite Girls Can Cook, Raggedy Rose Vintage Designs, Rainbow, Russian Beet Salad, Vinegrette. Bookmark the permalink. About Ellenhttps://happywonderer.com/I am a wife, mother, baba (grandmother) and a loyal friend. Jesus is my King and my hope is in my future with Him. It’s always a joy to read about your wonderful family. God is good. 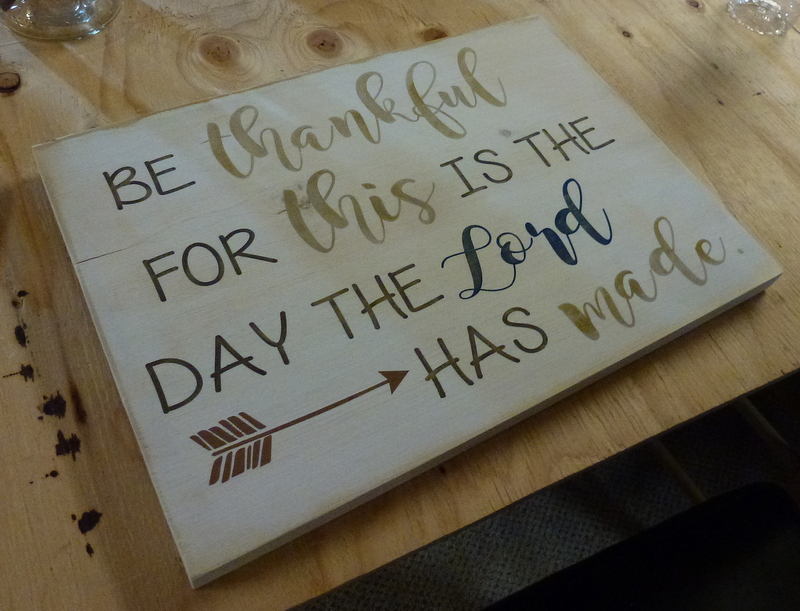 And I love that idea for painting signs. Fun and creative, and you have something pretty and uplifting to decorate your home with when you are finished. A lovely little memento of your visit as well. And a special blessing of the double rainbow too. That art class would have been fun and how nice that your daughter-by-love thought to do this together with you. Sometimes it feels really good to go out of our comfort zone and be pleasantly surprized. I’ve been invited to a painting party later this month–your creation gives me hope and courage. I’m glad you had a great time with Jamie and Dan. I love those signs…what a great idea! 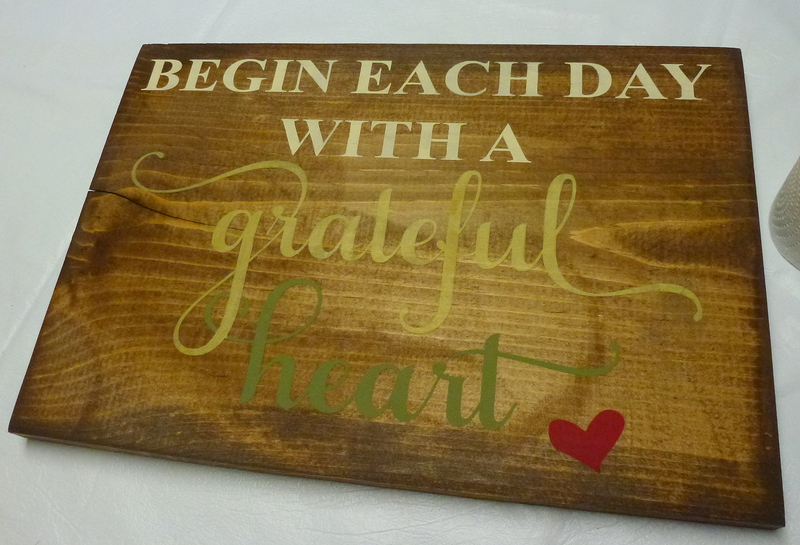 And I really love your list of gratitudes! What a fun crafting event! The lettering on those stencils look really nice. 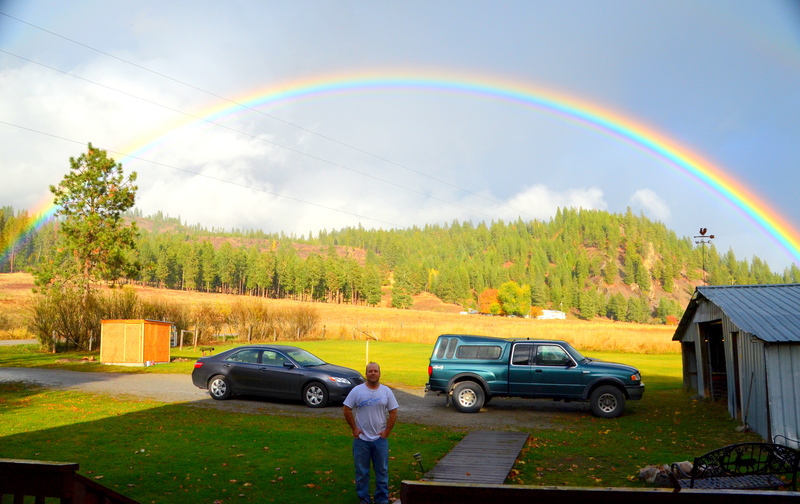 Beautiful luminous rainbows by Dan and Jamie’s place — thanks for sharing those! Your week away has been full of good moments. The painting event must have been an enjoyable one and family time precious. Seeing a rainbow is such an encouraging sight and you saw a beautiful double one. I hope you have a lovely weekend. 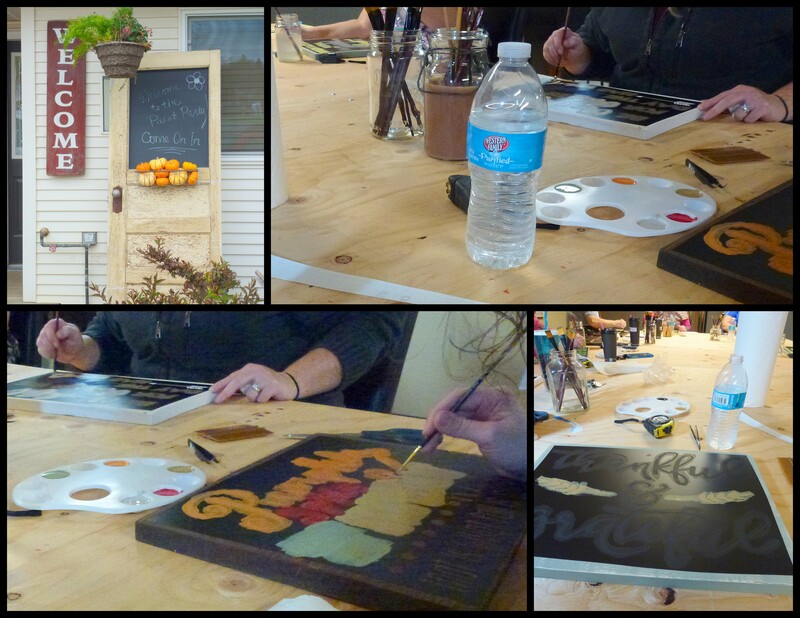 What a great workshop, the signs looked amazing. Your sign looks very professional…what a cool workshop. What a fun time making your own signs. Rainbows are always so amazing, aren’t they? I love beets…I want to try this dish!! That double rainbow is absolutely stunning. And the craft projects looks like a bit of good creative fun. That’s a different kind of paint night…one I could really enjoy. I tend to be more crafty than artsy and easy crafty at that. What a stunning double rainbow! Why weren’t you out there looking for gold? It looks as if either side landed very close by. I love those signs! Everyone’s looks so professionally done! But the rainbow as a sign of God’s faithfulness is just wonderful! So glad you shared the Scriptures too! Wow, that sign painting get-together sounds like so much fun! A rainbow always warms my heart remembering God’s promise. And a double one at that – lovely! Glad you got to visit your kids and had such a good time. Beautiful rainbow! Your signs turned out beautifully. They look like they took hours. 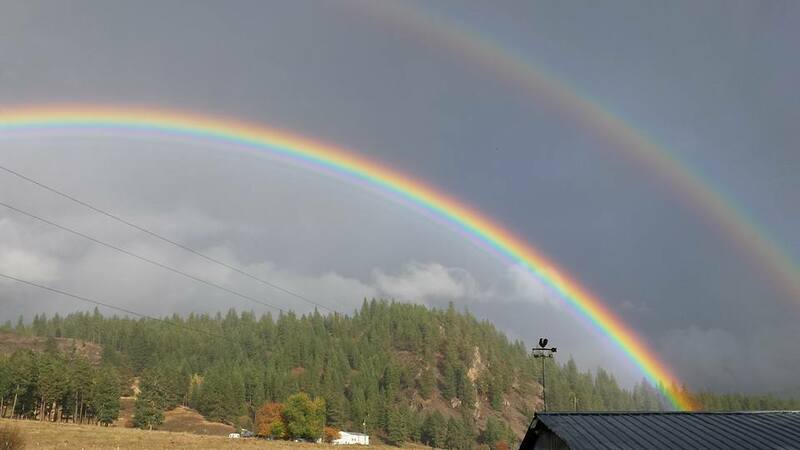 A good list and beautiful pictures of the rainbows. The craft workshop sounds fun and the results looked excellent. There is a happy & smiling group withy their great boards! The workshop looks like a lot of fun and all the signs look marvelous. They made me smile. I haven’t seen a double rainbow since I left New Mexico many many years ago. Lucky you! Always fun to read of your visits with family. I love beets and think I’d really love this recipe. Have a grand week! Now that is the best rainbow pic!!! Great signs too. What a great way to spend an afternoon. The paint party looks like a lot of fun. 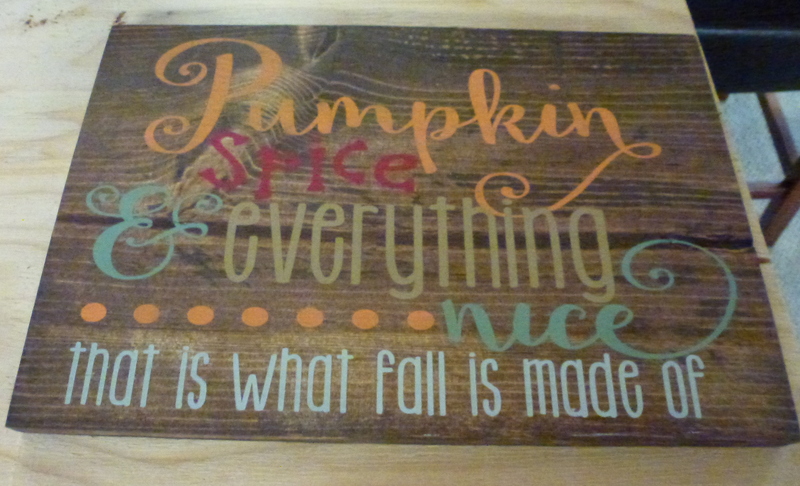 I love the wooden signs and have a perfect place for one in my kitchen!!! The rainbows are just wonderful. Glad you enjoyed the visit and had safe travel. Thanks for the recipe. I love the idea of the paint party you attended. And how cool that everyone could choose their own saying. I am going to think about having our women’s group do that next week. Thanks for the idea. That double rainbow is AWESOME. Whenever I take a photo of a rainbow it doesn’t capture its magnificence. Your photo did. Thanks for sharing. All very creative ! and what a beautiful rainbow ! Long time I haven’t seen one ! Oh I just love all the signs. And what fun to make them all together. love the Sign party Ellen — i’ve done a few of those paint parties for acrylic pictures, but I would rather do this one. 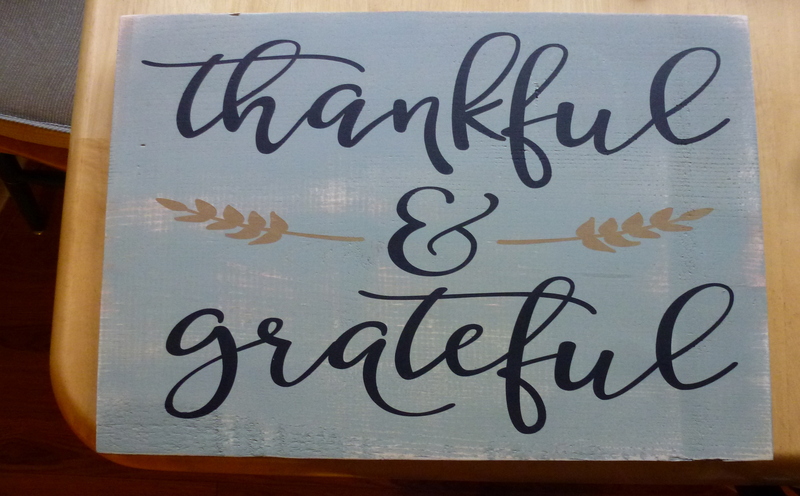 The saying my daughter and i would both choose (I’m pretty sure without checking with her ;>) ) is “Thank God for Ordinary Days”…. a farm stand we used to go to had this over the counter where you paid — and i always told the kids I loved it. After she was grown and had experienced some ‘adventure’ in her life, my daughter called to tell me that this was now her mantra as well — she said she would never again complain about being bored!! I would love that saying on a sign, too! Thank God for Ordinary Days! Oh my gosh and I love the double rainbow!!! What a fun thing to do with the girls. The plaques are bigger than I thought from the 1st pictures. Love the sayings! So nice that you could visit your kids and had great weather and safe travels! how fun…now I must see if we have we have one here…I LOVE signs of all kinds..and yours and your DIL’s…really cute.